Every day new standards of CSS3 and HTML5 enter more deeply into the life of web designers and web developers, and the browsers are becoming more compatible with these standards. In connection with this event we would like to present you a selection of 10 buttons of CSS3 that will make your life easier during the layout and creation of the web applications. This set of buttons uses a set of CSS3 and coloring of RGBA. It is not difficult to add this set of buttons to our page; we should connect the CSS’ template and add the necessary categories to the links in order to change their color, shape and so on. These buttons were based on the home page of Google.com. They are also simple and easy to understand. The buttons are very similar to Super Awesome Buttons that are mentioned above. This set represents the several colors (9 colors) and different forms. This button is not the most interesting from a design standpoint, but we will find the video tutorials on the creating similar buttons from the link below that will be helpful for the beginning web-designers. 5. Pure CSS Social Media Icons. This set is a set of icons of social networks, rather than buttons. The set is represented by the ten icons of social networks including Facebook, Twitter, Flickr and others. 6. Extremely Fancy CSS3 Buttons. All owners of iOS devices undoubtedly learn these buttons; they are present in iOS devices starting with the first versions. 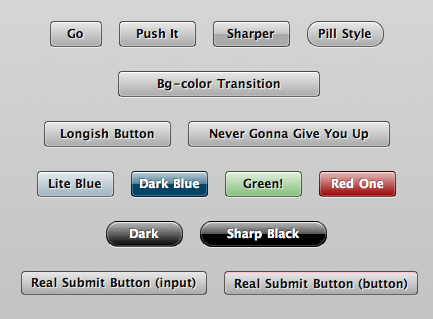 These buttons like many others presented here have the settings of color, size, and they are made on pure CSS3. 7. BonBon: Sweet CSS3 Buttons. Are you born as a sweet tooth? Then these buttons are invented for you. They are made in that way that you just want to eat them, or eventually use in your project. No doubt you would like the different colors, shapes, conditions. 8. Realistic Looking CSS3 Buttons. An interesting set of buttons, strict colors, curving, certainly deserves an attention. 9. Simple CSS3 Github Buttons. 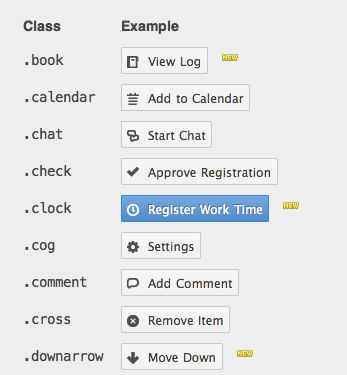 Realization of these buttons we have seen before on github.com, they are very easy to install, comfortable and simple. It is also possible to add icons to the buttons. 10. 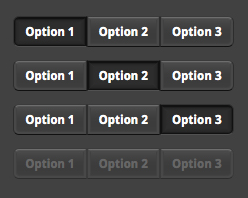 Flexible CSS3 Toggle Buttons. These buttons of CSS3 are made very cute, but they are not practical, because, they only support Firefox, unfortunately, other browsers are not supported.